WikiLeaks’ founder has been stuck in Ecuador’s London embassy for six years and cut off from accessing the internet for six months. Those circumstances have made it difficult for him to do the job of running WikiLeaks and the organization announced on Thursday that Assange will step aside as its editor-in-chief. Assange has resided in the Ecuadorian embassy since 2012. He was granted asylum by the government of President Rafael Correa. 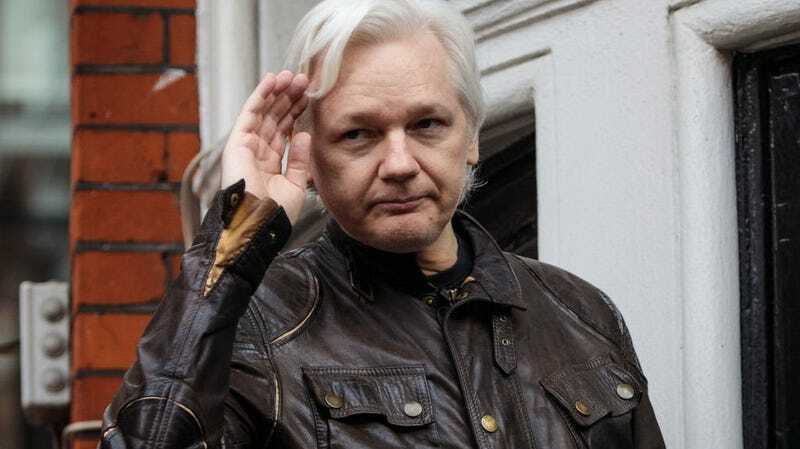 At the time, Ecuador said it believed Assange’s claims that his life was in danger due to his publication of leaked private and classified information involving the U.S. government and some of the most powerful people in the world. He cannot leave the embassy without being arrested by authorities in the UK on charges related to his skipping bail in 2012. Since then, WikiLeaks’ credibility has been harmed with some of its biggest supporters over its involvement in distributing hacked emails from the DNC and the Hillary Clinton presidential campaign. Political winds were also changing in Ecuador and its newest president, Lenín Moreno, hasn’t been as sympathetic to Assange’s situation as his predecessor.